Stunning Gavin Doherty Dress for sale available immediately. Made for Great Britain’s 2010. 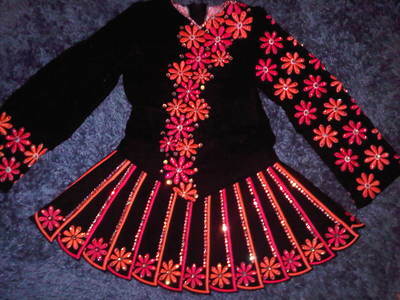 Dress made of black lightweight velvet and embroidered with beautiful pink and orange daisies in an assymetrical design. Dress covered in thousands of genuine swarovski ab crystals and bodice covered in tiny genuine swarovski jet crystals an extra £300 worth. Only selling as daughter has had a growth spurt. 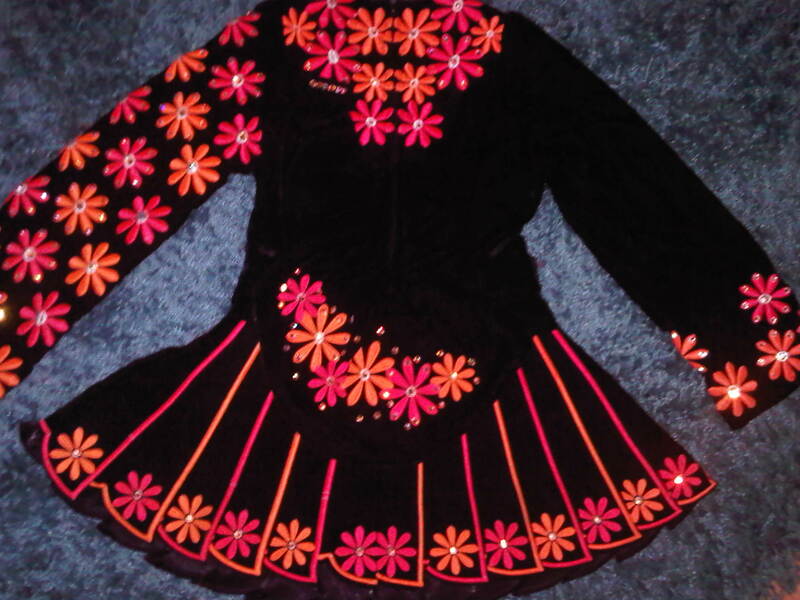 Comes with black satin bloomers and black velvet hairband covered in the same swarovski ab crystals as the dress and has two of the daisies to the side. Underskirt is pink and black. 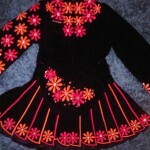 Dress has an eire designs label. This dress has had lots of compliments about it’s appearance on stage.